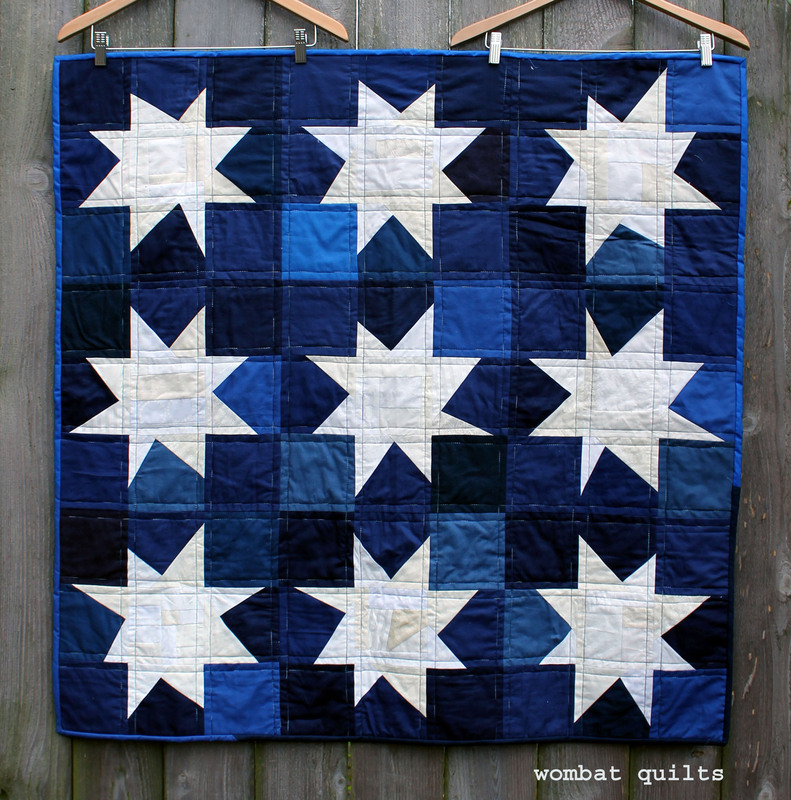 I am really really obsessed with getting some of my quilts finished this year… and I am running out of year. 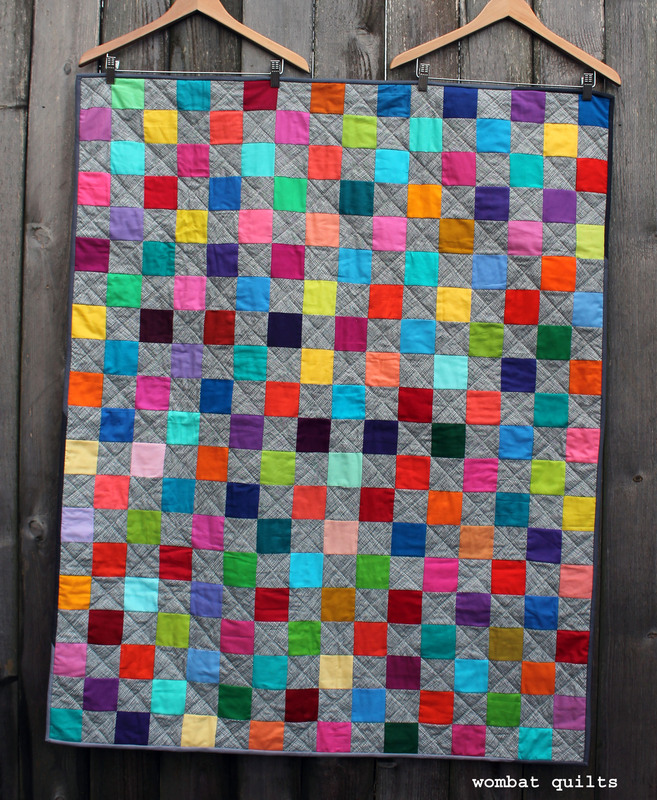 So the push is on… I have recently finished up a quilt top I made for the 100 Quilts for Kids drive, but my health hindered me finishing it on time. 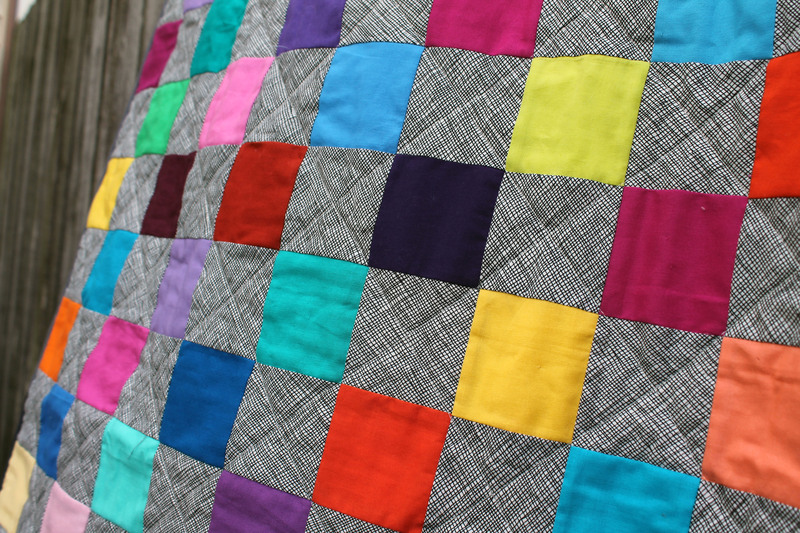 This was a fun and easy quilt to make. 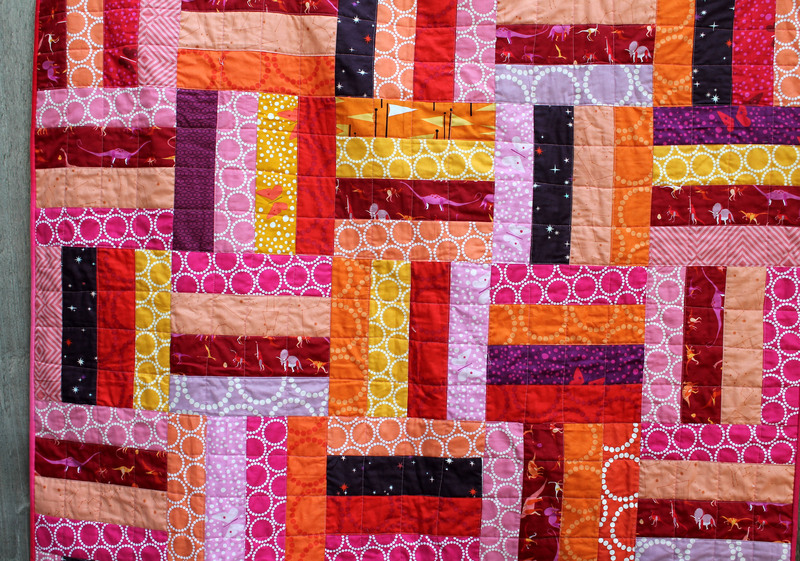 I used some of the thousands of 3 inch squares I have cut over the last year or so from my scraps. The background fabric is a grey/blue hatch fabric by Timeless Treasures. I love how it plays against the solids. 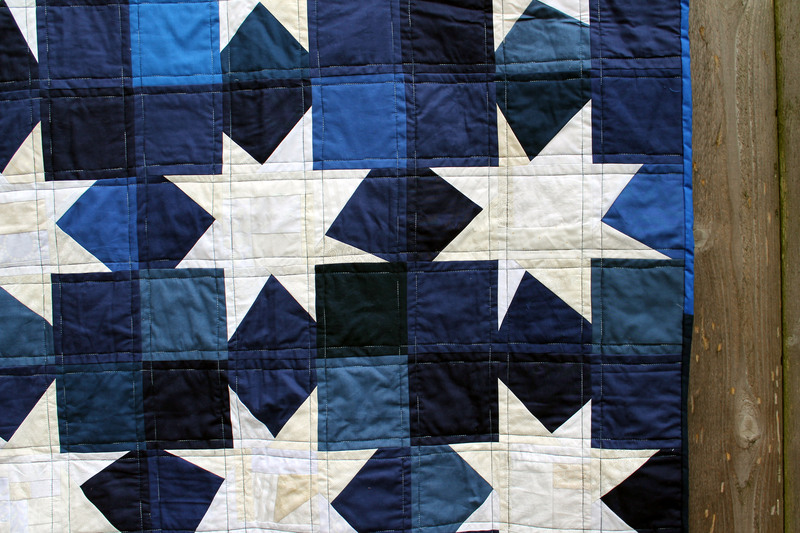 Came together so easily using chain piecing. 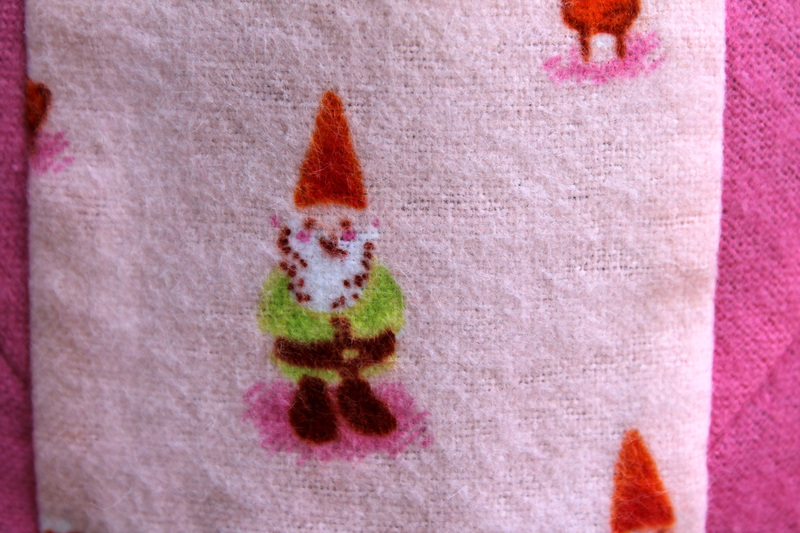 I just sat at the machine sewing a background fabric to a solid, one after another. I had an impressive string of fabric pieces by the end of the first stage. 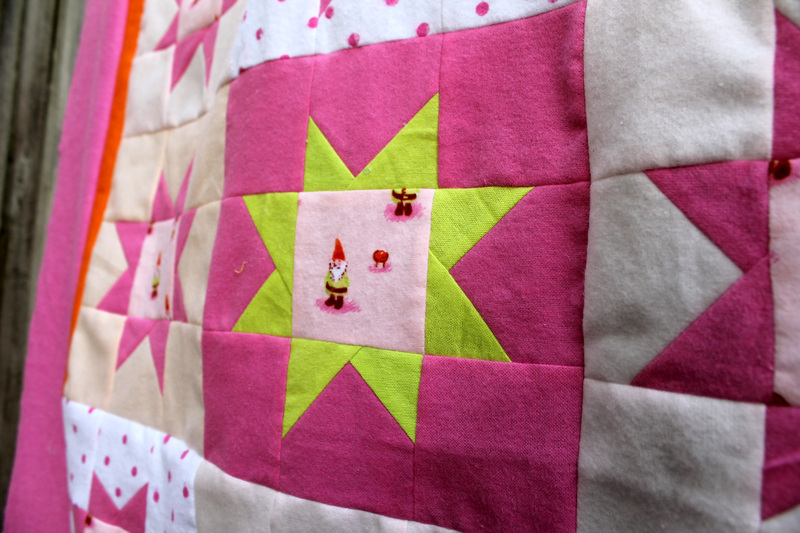 I kept the quilting simple, just straight lines through the background fabric. 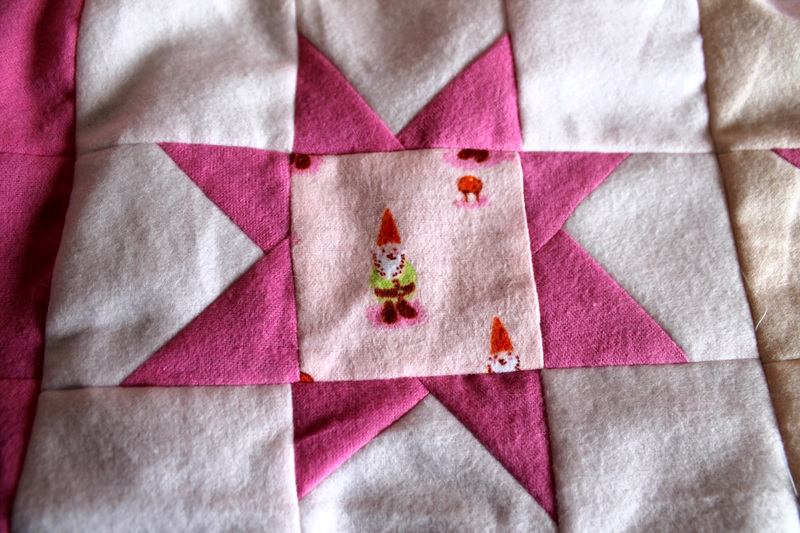 For some reason I did not want to run stitches through the solid fabric… and I love the plaid feel this quilting added. Somehow those bathing beauties just seemed to work. 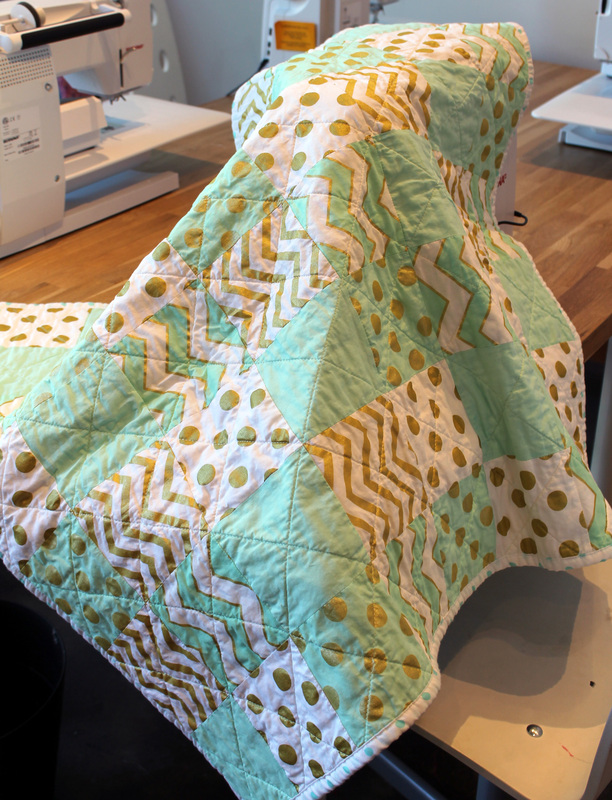 I have been hoarding this fabric for a little while and was waiting for the perfect quilt to use it with. 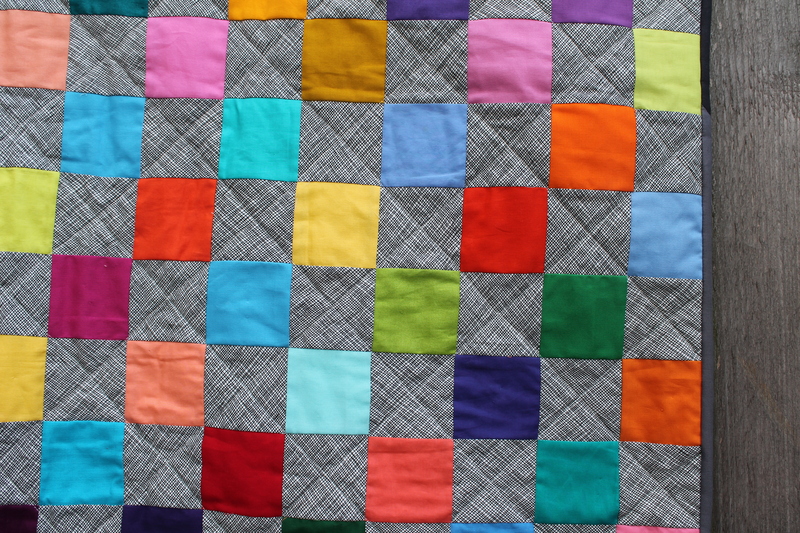 To finish it all off I used a selection of Kona solid greys to bind the quilt. 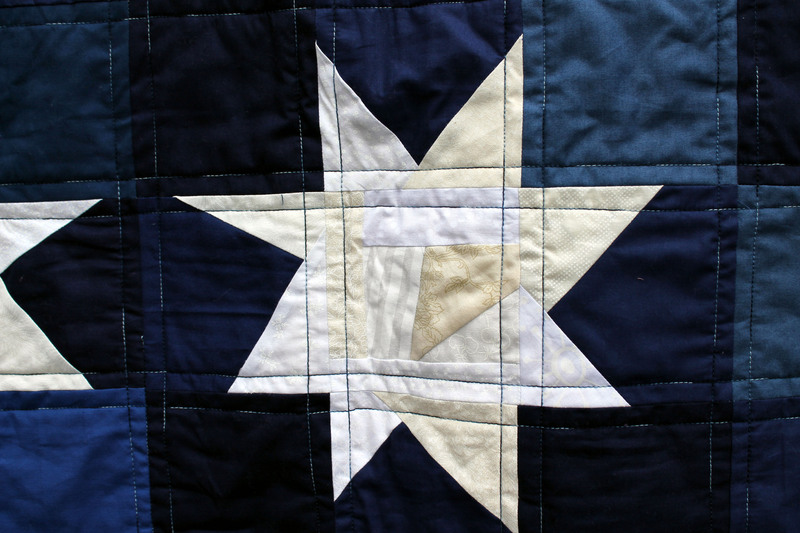 I spent yesterday morning at Project Linus Portland processing quilts… including this quilt. 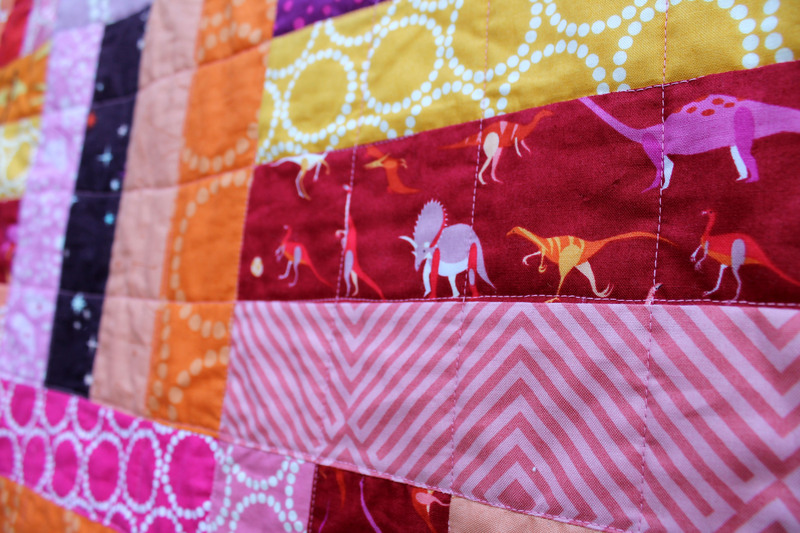 This week I finished up my Lizzy House Dinosaur quilt…. 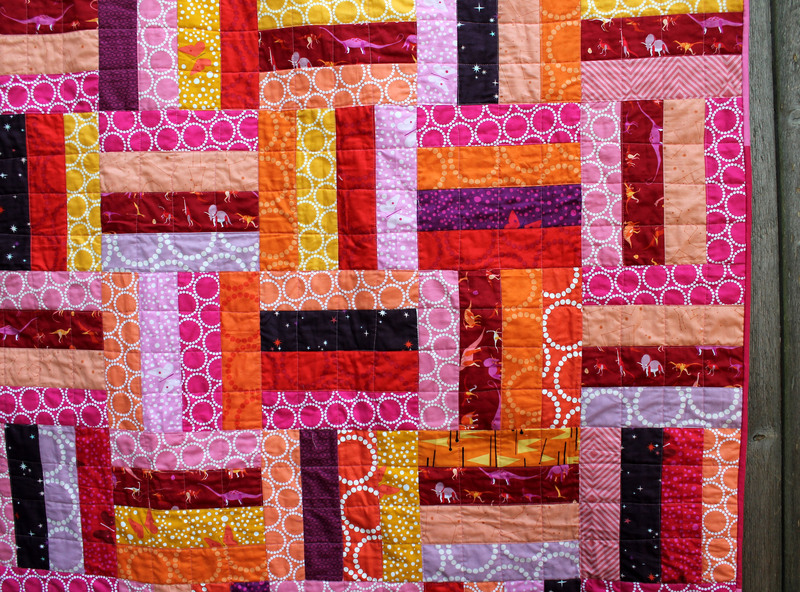 The pattern is a simple rail fence variation…. all you do is cut strips 3 inches wide by the length of the fabric (usually 42 inches long)… then you sew four of these strips together… then you cut out 10 1/2 inch blocks… easy peasy. 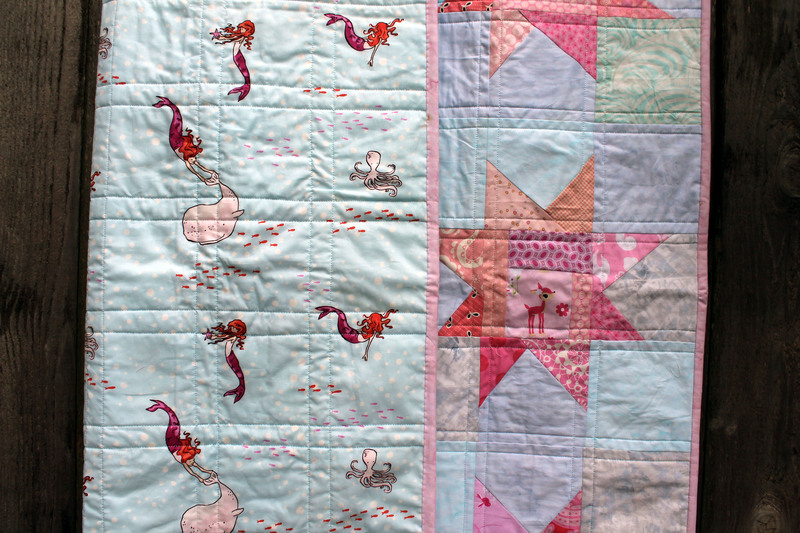 The highlight of this quilt is of course the dinosaurs…. oh how I love those dinosaurs…. Oh and there is butterflies as well, of course…. and binding using a fabulous ombre fabric I found in my stash and a couple of scraps. 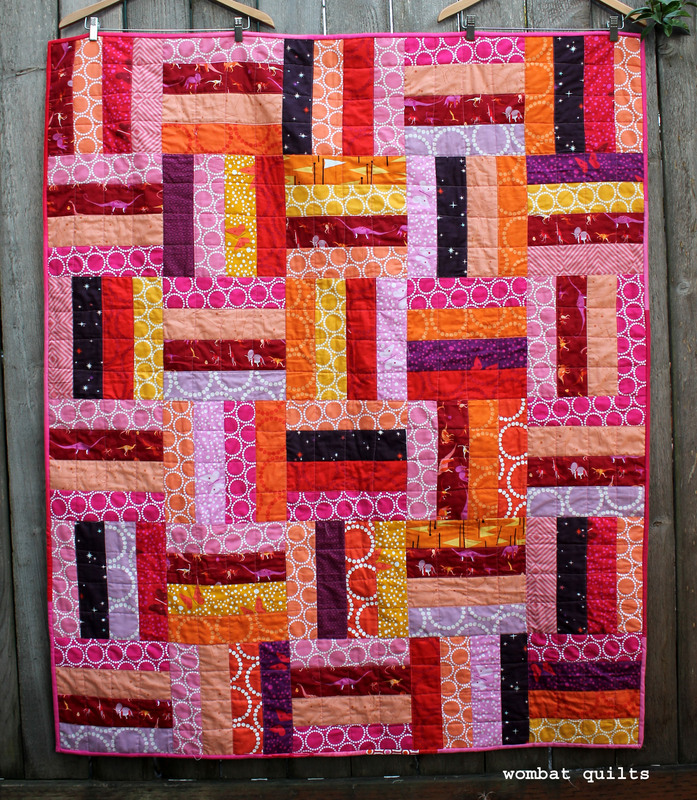 And there you have it, a simple fun kids quilt….and I have another quilt done for 100 Quilts for Kids. 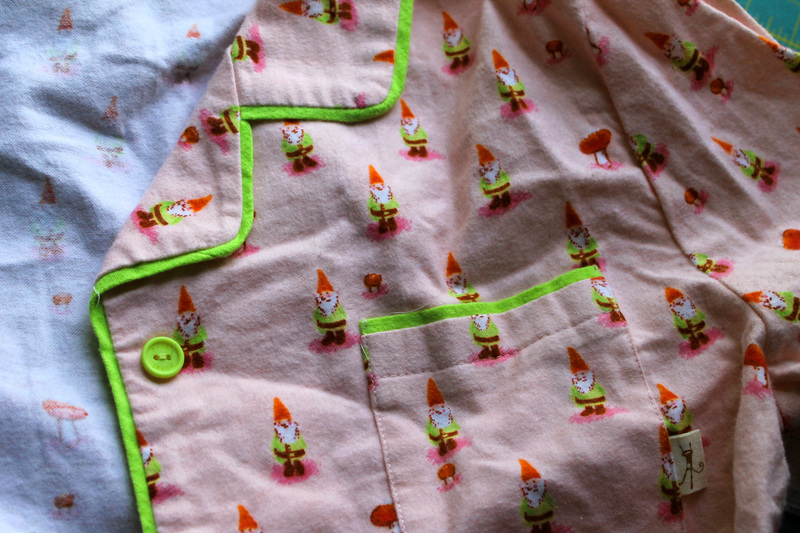 At Christmas my darling husband gave me a set of Munki Munki flannel pj’s. Pajama giving at Christmas seems to be a very American tradition..but I have fully embraced it. 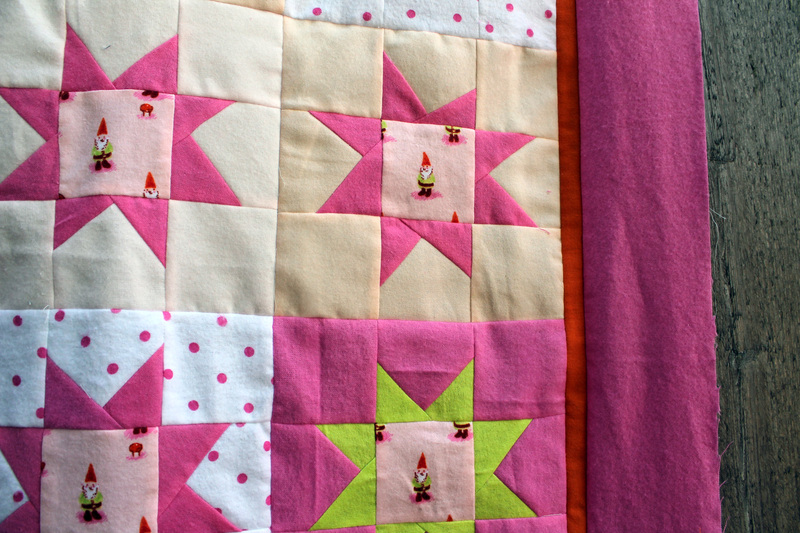 When I opened my Christmas package only one thing came to mind….this is going to make a wonderful quilt. 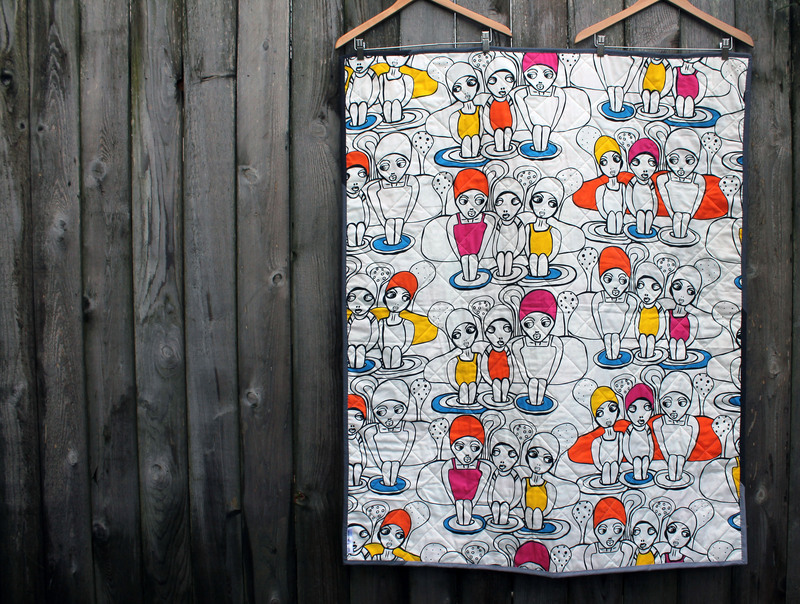 For those of you that are not familiar with the Munki Munki brand, their top designer was/is Heather Ross and collecting the pajama prints and using them for quilts is very popular amongst modern quilters. This is of course what I tried to explain to the husband when he found me cutting up my pajama top. 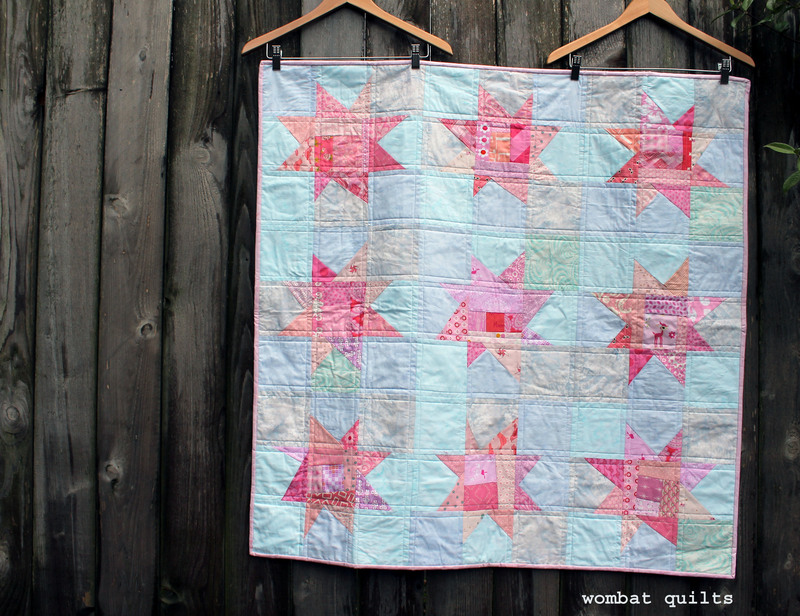 So a flurry of fussy cutting ensued and my favorite “go to” block pattern, the wonky star, was employed…. What was interesting about making the top in particular for me was that I used all flannel. 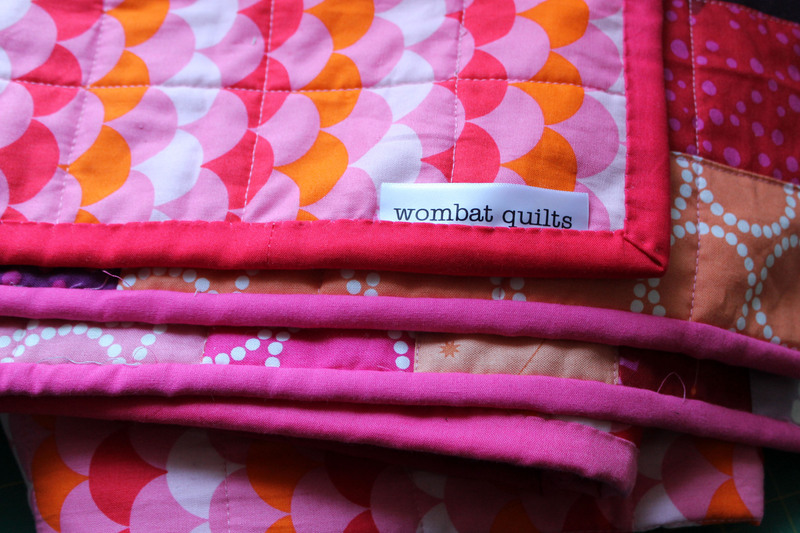 I had previously back several quilts in flannel…I love the soft finish particularly for baby quilts… but I had never pieced in it. For this top I used some flannel scraps a friend had given me and bought some more from my local quilt store… and I tried to use as much of the source pajama fabric as I could…including the sleeve and leg cuffs which were bright green. Most of the flannel I used had a wrong and right side and it was at times tricky to tell which was which…. 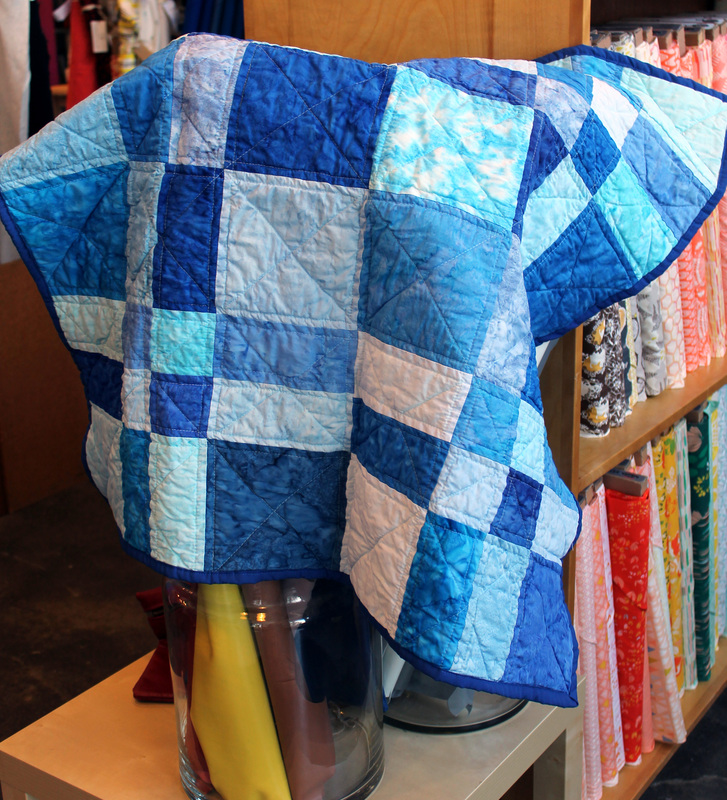 except for the Cloud 9 flannel which was beautifully thick and lush and was reversible. 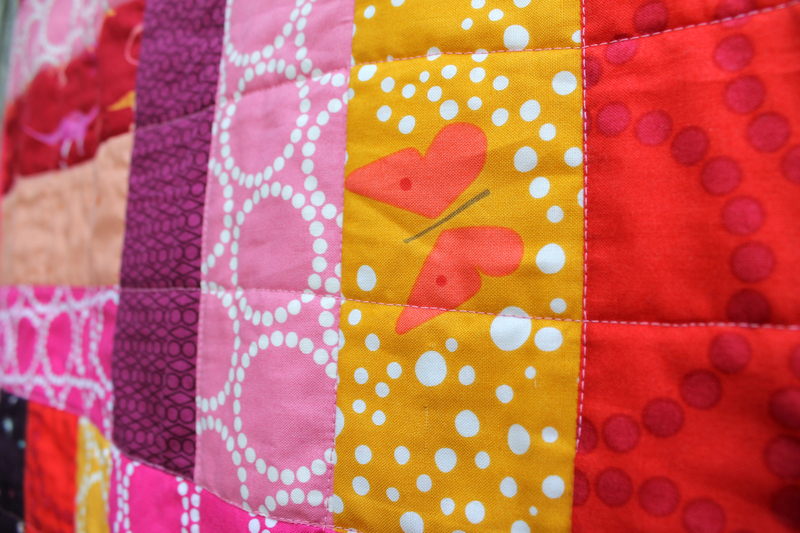 The end result was this darling little baby quilt… and I love how soft and cuddly it is. 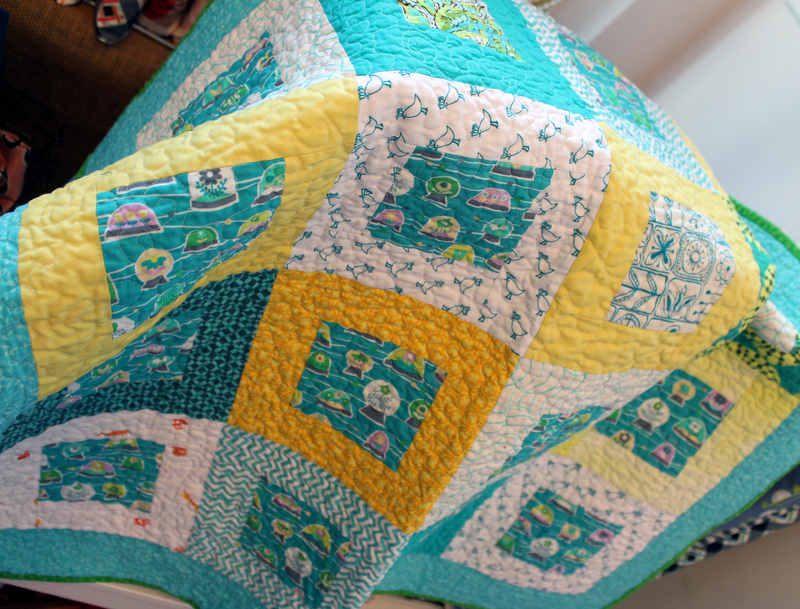 Last week Maryann, the PMQG President, and I dropped off a collection of darling little quilts for a new Neo-natal ICU unit that has just opened up locally. 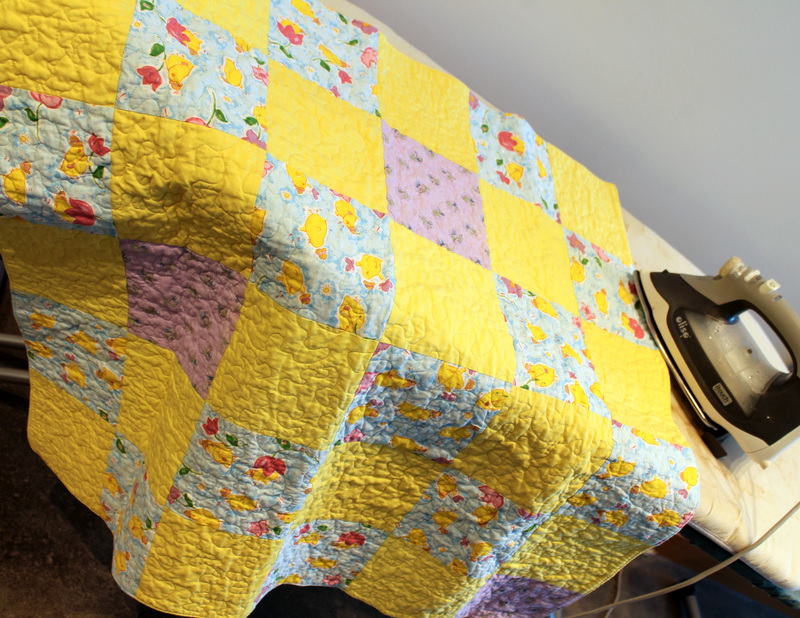 We delivered nine quilts, and know that other PMQG members dropped off more during the week. 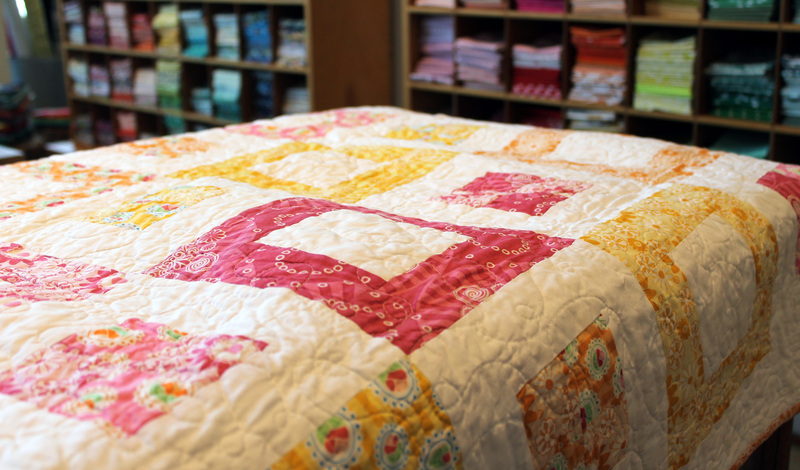 We picked the quilts up at Modern Domestic, who kindly allowed us to use their store as a backdrop for the photos. 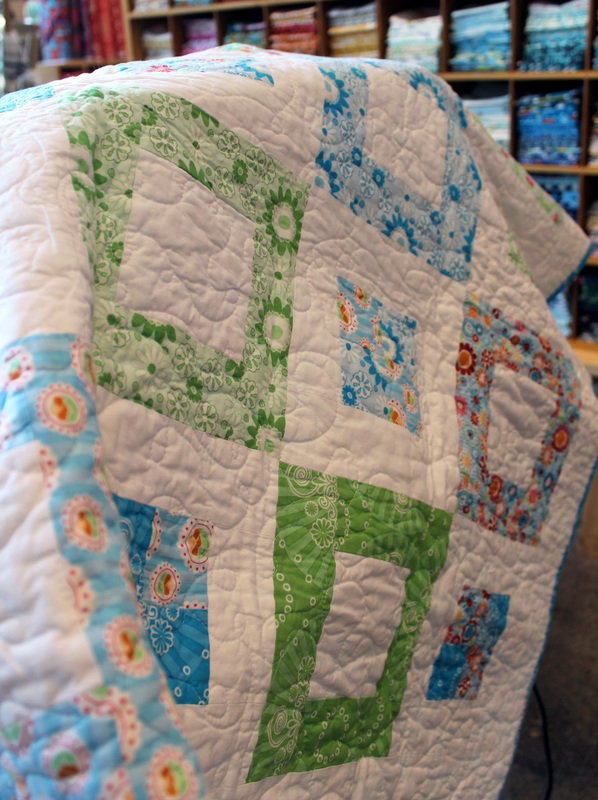 The quilts included a couple I had made…. 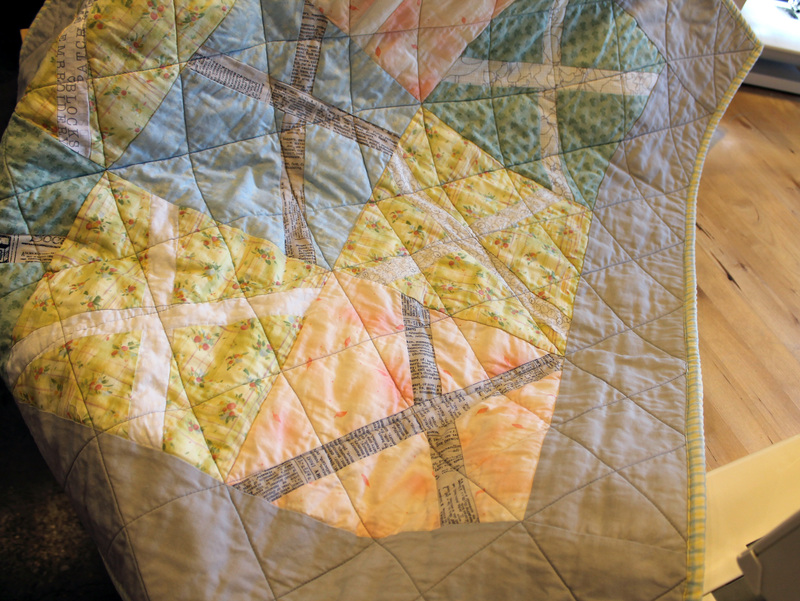 including a disappearing nine patch quilt using some lovely Hoffman Batiks that Sam at Hunter Design Studios had given me. 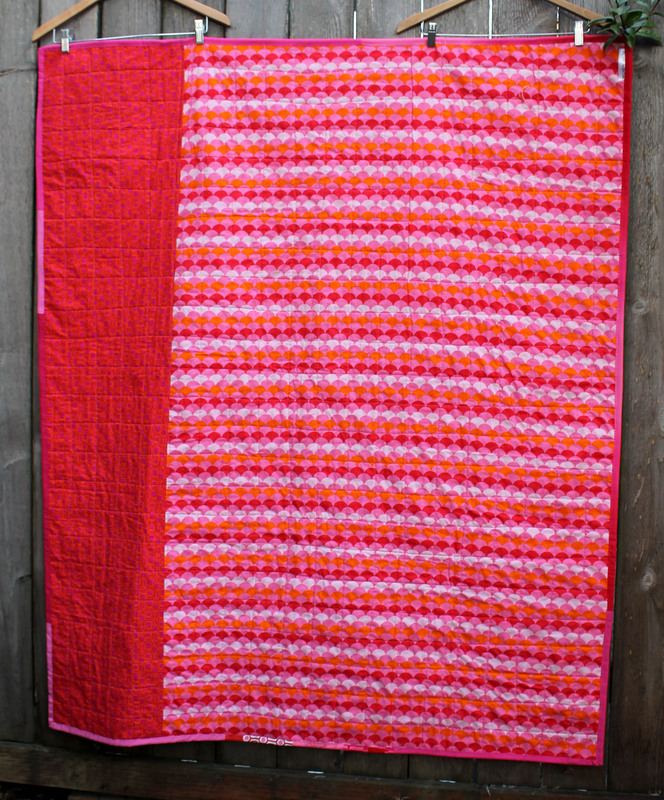 A lovely little strip quilt I made using a Moda Scrap bag. 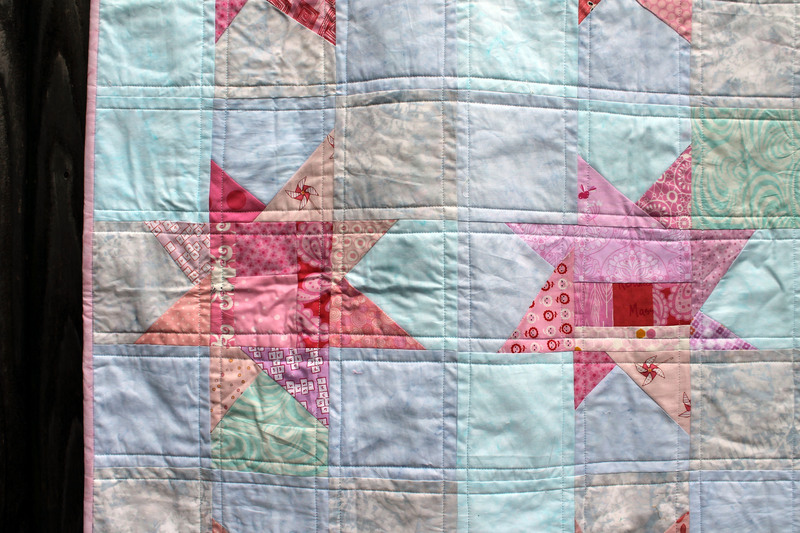 And a simple patchwork quilt using leftover Glitz fabric from Michael Miller. I was so excited to see how well this fabric washed up. 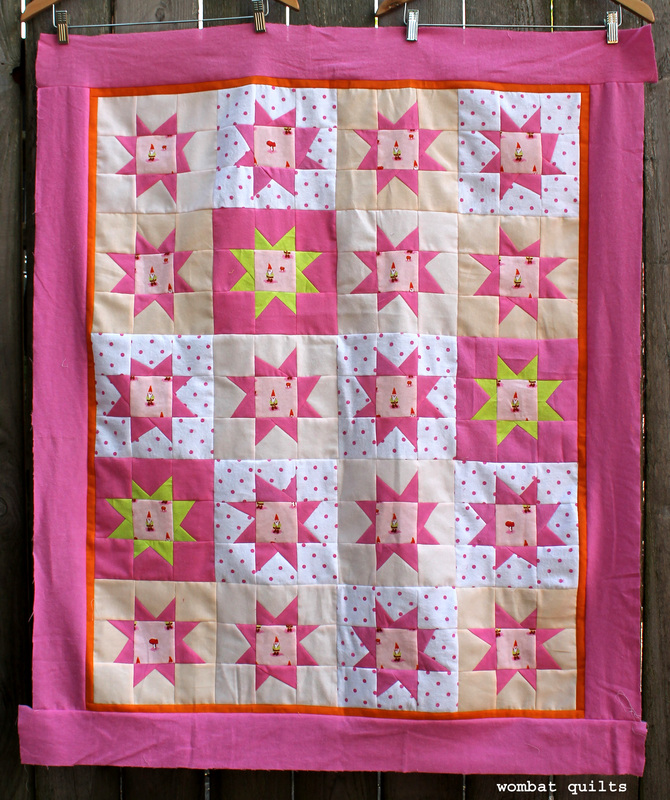 The fabulous Monica Solorio-Snow made two darling quilts using her Happy Mochi Yum Yum fabric. 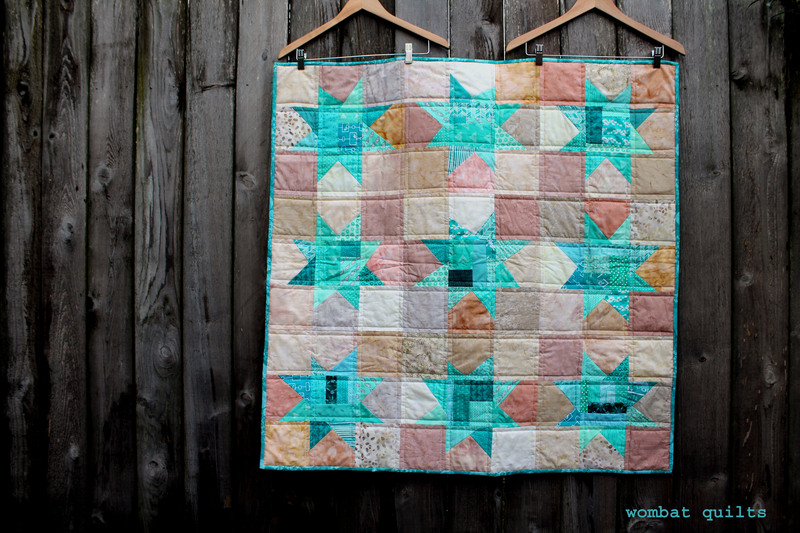 Monica very kindly did up a free PDF pattern for this quilt which she shares on her website Happy Zombie. 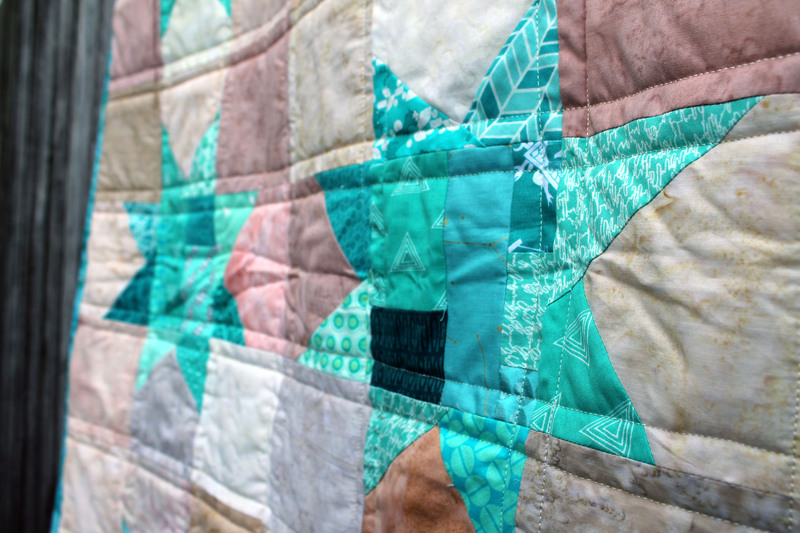 Charming nine patches by Michael Ann…. Not all the quilts had labels attached so please let me know if your quilt appears in this collection, so I can credit your lovely work. 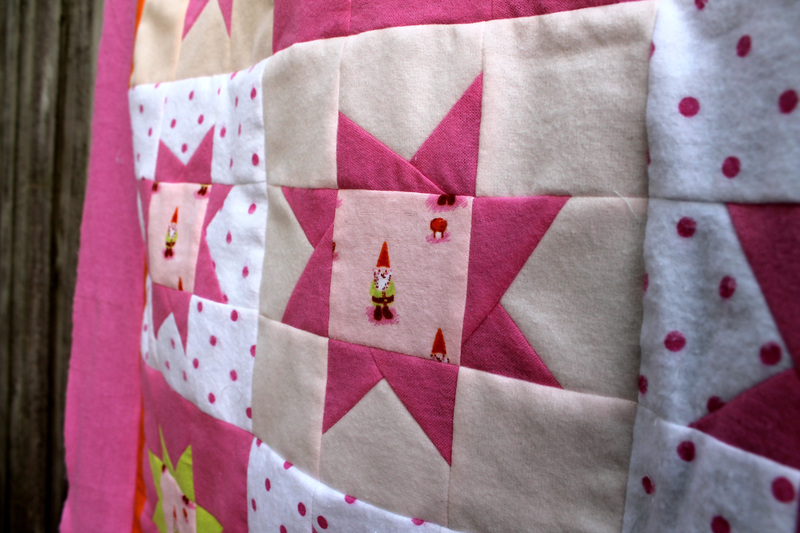 The need for these quilts will be ongoing, so I already have a couple more in the works. 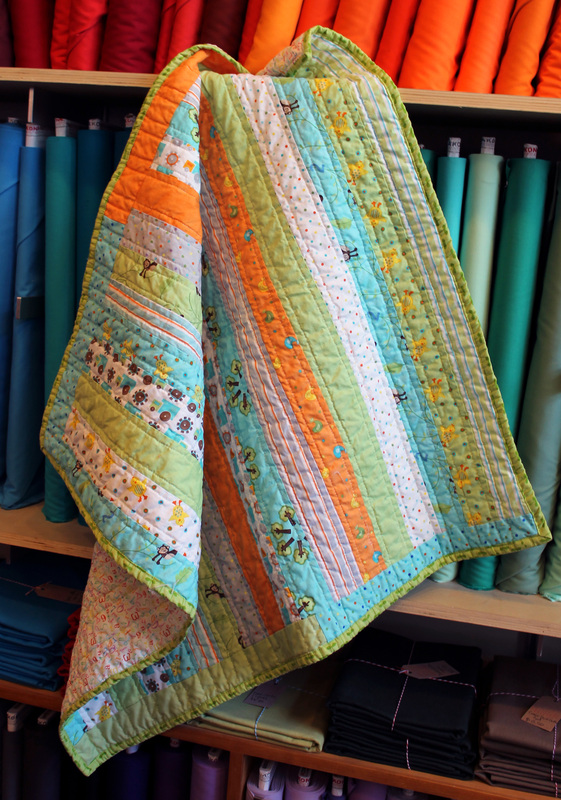 If you feel inspired to make a little (36 x 36) quilt, most hospital NICU’s take quilty donations, or you can also drop a quilt off with your local Project Linus Chapter or other blanket charity. It really is an easy way to make a difference. 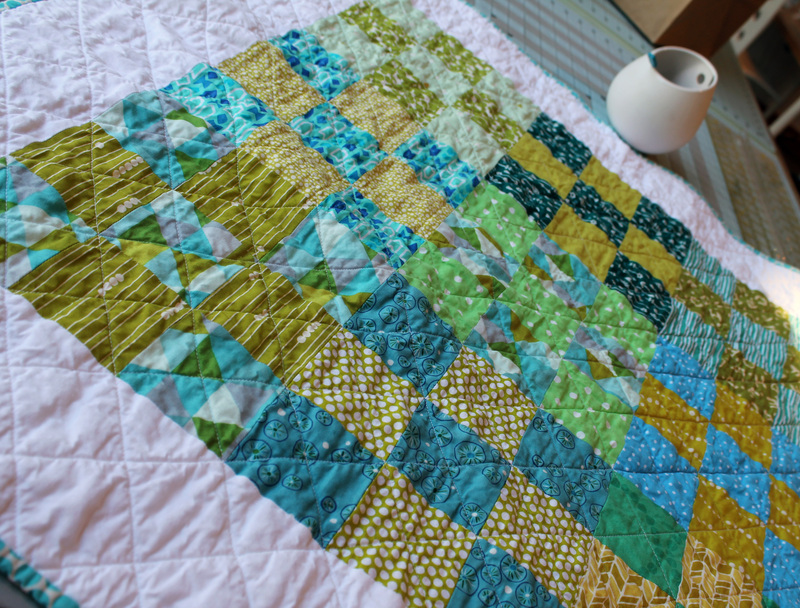 So dust off those orphan blocks, pull out that novelty print you have that you do not know what to do with… go on make a quilt…you know you want to.